The current mosque is more than 100 times the size of the original building. This means that the current mosque covers almost the entire area of the old city itself. This is evident from the fact that whereas Jannat Al-Baqi cemetery was on the outskirts of the city during the time of the Prophet ,  it now borders the precincts of the current mosque grounds. *Note from author: What is meant by “hujrah” in this case is not the actual burial chamber / original room of Aisha (Ra.) This is enclosed in a pentagonal structure with no doors or windows and has not been visible for centuries. The area meant is the entire grilled area encompassing the chamber and area of other rooms. 5. There was no dome before, now there are two! 4. 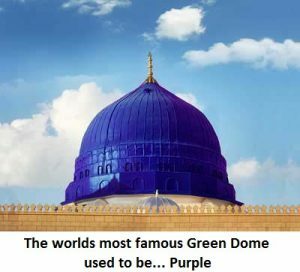 The dome used to be purple! 2. What lies in the room of Fatima ? 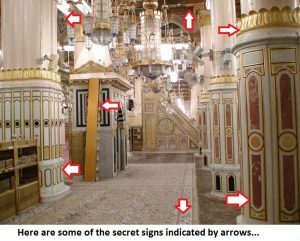 Yes, the mosque of the Prophet is covered with so many subtle signs and secrets that it makes the DaVinci Code look like a cheap puzzle for pre-schoolers. Each pillar, each dome, each window carries a story and indicates the location of events that carry historical and spiritual significance. The people who constructed the Prophet’s Mosque realized that it would be impossible to put up signs everywhere as it would distract from the main purpose of prayers. Therefore, they came up with an ingenious way of indicating a location of importance through minor changes in the design of surrounding objects. What are the secrets? Well, that is a story for another day inshaAllah. The mosque of the Prophet was never just a mosque. It was the center of the first Islamic community and nation. It was the scene of our greatest triumphs and tragedies. It was a community center, homeless refuge, university and mosque all rolled into one. Like the Muslim community, it has grown over the years and become more modern with each passing generation. But despite the exponential growth and changes from the simple Hijazi date palm trunk interior to the marble and gold clad structure we have today – the inner core remains the same. Perhaps there’s a lesson in there for us all. 8. Sabiq Al-Sayyid. Fiqh al Sunnah (Kitab Al-‘Ibadat) volume 2. Page 148. As to the empty grave mentioned by you, no reference is given —wherefrom you got this information? From the above we can see that they could only have had these considerations if there was indeed space for a 4th grave. In my article, I have only mentioned that there is a space and no 4th grave since the proposed inhabitant (Isa [A]) has yet to return. Also there are other references in Tirmidhi and a narration by Ibn Jawzi in Kitaabul Wifaa. Dear Prof Sahib:if you are serious to gain information,so pleas go to Maddinah and you can have all the information from the library ( situated inside the Masjad e Nabvi ). It is in Hadith that Prophet PBUH said I will be raised from my grave first with Isa AS next to me will be Abu Bakar and Omar then we will wait for people of Makkah to arrive and we will proceed to ground of judgment. That Hadith clearly indicates that Isa RA will be buried there…. Thank you to provide the link. Great read and very informative. I wish there more books written about the masjid. You better get to those secrets quick!!! Make that your next article!!! Also, it is good you mentioned that that famous green dome isn’t real. In fact, it is not allowed because we are not supposed to make structures over graves and the Prophet sallahualayhiwasalam warned us against taking his grave as a masjid!!! Usually, I imagine Islamic history after the few decades after seerah to be extremely boring. But JazzakAllahu khair we have our history literate brother to pick out all the interesting parts. Dunno why that warranted 13 negatives…..anyone want to say? Most likely reason is that the sufis & baraelwys revere the green dome. Sister Fatima your comment above either means you are naive of history or unwilling to shed your mantra of sectarianism. The green dome was not built by a brelwi – he wasnt even Indian he was an Ottoman Turk. Some love him so much they obey him. Others love him so much they disobey him. One enters Paradise and the other is deprived of Paradise and enters Jahannam. You responded well and I second your statement about how we shouldn’t take the Prophets Mosque as a place of worship. Don’t worry about the negatives, not everyone has correct Aqeeda unfortunatley. No idea Gibran why people voted your comment down. But then it is public controlled and we can’t change it unfortunately. Wasn’t asking you to at all, where did you get that idea? It was clearly just a general question. Fatima’s answer makes sense. Yes, Barelvis didn’t invent it sajid, Fatima did not say it was invented by Barelvis, so why are you insinuating that she did? There are numerous hadith that make it clear this is completely haram and no amount of love for Allah and His Messenger will justify disobedience. May the love of the people who support these grave structures never be accepted until they obey Allah and His Messenger. Gibran: answering as it is my job. Keep in mind that the Prophet’s house was actually PART of the Masjid, and he wanted to be buried in his house. Thus, his grave is in the same structure as a Masjid. It was literally unavoidable, and whether there’s a dome on top or not doesn’t factor into that. The second Hassan was correct, the grave was not originally part of the masjid and in fact such an act is forbidden by Allah and His Messenger!!! “It is not correct to quote the fact that people built a dome over the grave of the Prophet (peace and blessings of Allaah be upon him) as evidence that it is permissible to build domes over the graves of the righteous dead and others, because those people’s building a dome over his grave (peace and blessings of Allaah be upon him) was haraam and those who did it sinned thereby, because they went against what is proven in a report from Abu’l-Hayaaj al-Asadi who said: ‘Ali ibn Abi Taalib (may Allaah be pleased with him) said to me: Shall I not send you on the same mission as the Messenger of Allaah (peace and blessings of Allaah be upon him) sent me? Do not leave any image without erasing it or any high grave without levelling it. Gibran,you’re correct,now we see the majority of muslim graves with buildings erected and much worse,huge photos framed placed on the deceased grave,nauzzubillah!!!!! Jazakallah khair for this very interesting and fascinating post! If you are Arabs talking to people that speak Arabic then yeah. But if you are talking to people of different faiths they wont have no clue what a “masjid” is… so you should say MOSQUE. JazakAllah khairun to all of you for your kind comments. I’m working on the secret signs article/ book/ website (depending on my ability) inshaAllah so please make duaa that I do it justice. How to get the blessed news? I am currently planning to go for umrah shariff in two months time – Is it possible for u too tell about “secrets” some way or the other telling about few books, so one can prepare a bit and get more blessed? There are a number of things to see. I live in Saudi and have been working here for 2 years now. I regularly go to the Holy Cities and have endeavored to make a site profiling the calligraphy ad pillars in the masajid. 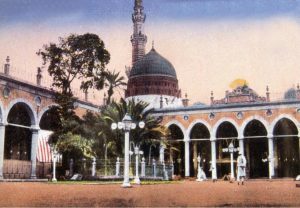 The problem is that Ladies do not get much time to spend in the masjid and certainly very little at riyadh al jannah – hence you wont be able to see the main features such as the pillar motifs, the calligraphy on the holy chamber external walls, poetry on the qibla wall, the enscriptions on the mihrabs, the enscriptions on the mimbar. I am documenting these on my website. A link for ur website? It is still better than nothing… This subject is VERY dear to my heart so I will in sha’a Llah take whatever I can get! I am very excited and cannot wait to read, The secret Sign book publication – once 40 million copies are sold a block buster movie is made than I will know you did a great job in translating those secret signs and I will accept your claim that De Vinci code was just cheap puzzle. Thanks. please share your website/ book as and when parts get completed! Great article brother – we need the secrets of the Masjid!!!!!! I am also working on a similar project. 3. The golden floral pattern on the pillar to the right of the image – indicates the height of the original masjid in the time of the prophet. Please see my website for more of the open secrets. MashaAllah excellent work brother Sajid. May Allah reward you abundantly for what must be quite a difficult task. I will contact you when I have something substantial for your advice and opinion if this is ok inshaAllah. Please let me know of what assistance i can offer. I am currently working on the mimbar and the qibla wall inscriptions. They detail the poetry that was put up and still exists – until when i do not know??? Asalam o alaikum, just returned from umrah. It was impossible for me and my daughter to reach riyadul janah, women are misbehaving and even few died ! We didn’t have enough time so could not try to go again , we prayed on red carpet and now I’m v sad . It would be of great help if you could provide some historical sources from where you have drawn these information. The information provided are of great significance. Please kindly provide the sources as well. Jazzakkallah khair. Yes – PLEASE do give sources. All this sounds wonderful, but we have a very strong tradition of proofs and evidence, so please provide your sources for all this info. … and my own investigations/ questioning of the scholars and khuddam of the Masjid over the last 25years. We saw that too, though I don’t remember the full story behind it. Probabliy you saw Bir Haa/ well of abu Talha Ansari r.z, its inside the Masjid few meters left to the gate Fahad no 21.
it was in the Garden of Abu Talha Ansari rz., Prohet s,w often used to visit this garden and drank the water from this well. This is very fascinating. Keep informing us of the unknown. Loved this very informative and interesting article. Jazakumullah for it. 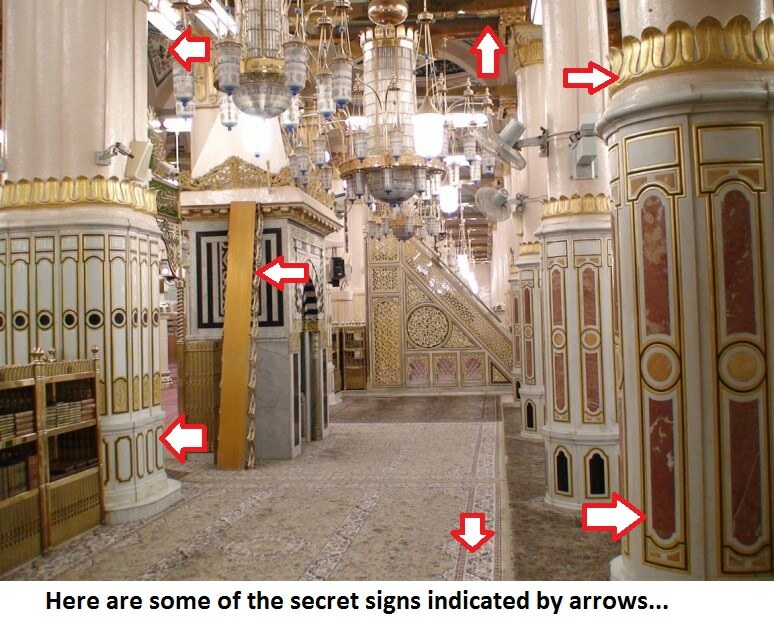 Please post the one about the secret signs of the mosque soon. Can the author kindly get in touch with us at Jeddah Blog as I would be very interested in this information for our readers. SubhanAllah… May Allah guide and assist you all for the work done in the name of Allah. Looking at the atrocious number of dislikes suggests that there are ‘eyes’ watching. May Allah protect us from all evil. Great article. Keep them coming! 1) In the 4th “thing” he uses the expression, “Yup – purple.” This is chatty and juvenile and inappropriate in a sacred discourse. 2) In the 3rd “thing” his talk of Suleyman as “Sultan Solomon the magnificent” seems odd. The Turkish and even European scholars prefer to call this Sultan in English as “Sultan Suleyman” or “Suleiman the Magnificent”. 3) Finally in the 1st “Thing” Mr Akhter makes recourse to that cheap book of fiction called “The DaVinci Code” which had been built up by the media into a book of historical facts in the minds of the gullible public. There can never be any comparison or reference made in the same breath between an utter work of fiction and the factual, so far indecipherable (not ‘secret’), inscriptions dotted around the Masjid-e-Nabwi. JazakAllah khairun for your kind words. As to your critiques I would say that the use of chatty/ juvenile words and pop fiction books to discuss points in this article was on purpose. Unfortunately, the majority of Muslim youth (and adults) cannot relate to our heritage and live in a world so far removed from it that they are unable to truly appreciate it. Therefore, I feel it is incumbent to bridge this divide in order to make the information more accessible and interesting to the masses. Of course it must be done in a way that does not compromise our principles or denigrate the subject matter. In fact, I find the entire format of “Ten things you didn’t know…” as quite tabloid like and not one you are likely to come across in books or serious treatise. Even though I dislike it myself, I choose to write in this style and have more people get the information rather than in a more formal style and benefit far fewer. Indeed it is an informative & exciting efforts keep it up. A Sufi brother told me that there is a wall in the Prophet’s Mosque with all his names, including the controversial YaaSin & TaaHaa. Is this true? And what is the Islamic ruling on such claims? 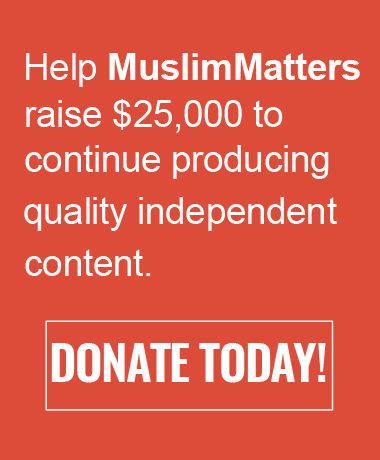 Firstly – JazakAllah khairun to you all for your kind statements and support. 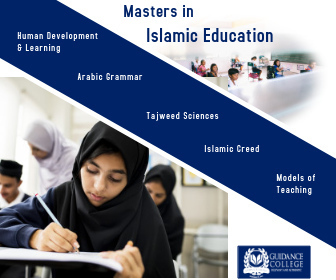 It encourages me to work harder to present this information in a better way for more people to benefit from inshaAllah. The Qiblah wall in the Prophet (SAW)s mosque has the longest piece of single artist calligraphy in the world. It has some surahs but one of the panels (in red) contains more than 100 names of the Prophet (SAW) – including Yasin and Taha. As to what the Islamic ruling is, I humbly suggest you ask a scholar you trust. Its amazing to have the information about the kaba and the mosque . Ma cha Allah! Thanks very much for these precious information. I am so happy to learn about fact#4. Purple is my favorite color with green! A sister from Senegal, west Africa. in fact there are more then 90 things You Didn’t know about the Prophet Mosque and Scared Chamber..
it happened in the time of Umar Bin AbdulAziz, when he was governor of Medina, due to heavy rain fall one of the wall of Aisha R.z Hujra destroyed. people rush to see the Grave of Prophet.sw but Omar Bin Abdul Aziz r.a immediately cover that wall portion with a cloth and said i will not enter my slef neither i will allow you people to entre as Prophet s.w could get disturb by the crowd. then only a slave named ” Mazaham” allowed only to enter the Hujra Mubarak for cleaning and repair. In 91 AH Umar bin Abdul Aziz (Allah show mercy on him) built five cornered walls so that nobody may enter inside the Sacred Chamber. REMEMBER that till this time there was no Dome on sacred chamber. 4)Trench built around the chamber filled with molten lead..
After this occasion, nobody has been able to see these graves since all the four walls of the Sacred Chamber have been fully built up to the roof level and closed for any view. The Turks built an enclosure around the funeral courtyard which used to be open to worshippers. Recently however, it is used as a storage space for materials needed in Masjid-e-Nabwi. This door is also called Bab-un-Nabi since the Prophet (peace and blessings of Allah be on him) used to enter the masjid through this door. It was also known as Bab Othman since it was in front of Ottoman’s (RU) house. There is a round stone on the top of this window. This window indicates the location where Jibreel (AS) stood during his conversation with the Prophet (SAS). During the extension of the mosque, the door has been moved somewhat eastward in line with its original position. 9) Bab-e-Abubakr Siddique still exists. Ibn Hajar said, “Small door is called Khukhah” Such small door of Abu Bakr’s (RU) house was near the fifth column west of the pulpit. This small door opened into the mosque. This door was moved westward along the same line during the various expansions of the mosque. During the first expansion by the Saudi Government, it was named Bab Siddique. if one enter from Bab-e-slam you could find a door on your left side. there is a small room, used for storage purpose now. this door was always kept in Masjid Nabvi, as Prophet s.w said ” close all the door which open in Masjid except Abu Bakr .rz door” so in every expansion this door was moved along the same line to the westward. its a long list, i have mentioned few only. i am working to compile all the Historical scared sites related Stuff with Photo Graph, GPS Tags ,Maps of Madina,Makkah,Tareequl Hijra, Tareequl Anbia, Tareequl Hajj, Tareequl Ghuzwaat . i would request to all of you , please pray for me that Allah Give me strength to complete This task . as i am in final phase of work .and in sha allah in couple of months i will upload the document. Asalam alekum Hamza , I am so great full that you shared precious information about Our Prophet’s Mosque . Thank you once again . Allah Hafiz . Dear Brother ABU HAMZA, I want to purchase your book. From where i can purchase it in Pakistan or anywhere? what is the price? Dear Brother Masroor, Ma sha allah for your Interest, book would be free in sha Allah, and will be ready very soon, few of the chapters are left, mostly related to Prophet s.w Hijra Route , Ghuzwa Routs, . There is a door on all four sides leading inside to the empty space around the Sacred Chamber. Only the Khudam (the direct decedents of Hazat Bilal Razi Allah Anhu) are the people who can go inside for cleaning purposes. They are headed by (now very old) Shiekh Noori. You can often see him sitting on awheel chair near Ashab e Sufa Platform. All these Khuddam are MUKHANAS, as the people told me there. These Khudam have a room behind Ashab e Sufa platform in the corner as you enter from Bab e Jibraeel.Dignitaries who go inside, enter from the door on the Qadmain e Mubarik side, which was the door of Hazrat Ali’s (KAW) and Hazrat Bibi Fatima’s Hujra. There is a lot more, which maybe I will share next time. “The five cornered wall was built so that there should be no resemblance with Holy Kaabaa” True , it was first built by Umar bin Abdul Aziz r.z and then after the second fire in masjid nabvi, it was re built along the inner four side walls, Original Hujra of Aisha siddiqa rz. yes its true, there is a lot alot alot more to share, … this is why i thought to compile the stuff,:) . Brother Muzzamil, i heard about these Khudam many times, wondering when did they started this Job? who appointed them first ? why Mukhans only? actually i never came across these people in any Historical book. as far as at the time of SAHABa r.z no one has mentioned this thing, infect Bilal r.z himself left the madinah after the death of prophet.sw and got settled in Syria.. so where did this hole story come from? the first writer who wrote about Masjid Nabvi and other historical places was Ibn Zabala r.h who the student of Imam Malik r.h , he never reported about this, then Ibn Shiba, Matri, Samhodi etc a long list of Muslim scholars who spend their entire life only to Digg out the historical places,event related to Prophet.s.w has never mentioned this, and these are the people whose research was such a thoroughly about the ” Asaar Nabvi s.w” that they even mentioned the name of the people who were living on the way, streat, from where Rasool allah s,w passed only once…. walikum slam … book was ready last year but then some brothers insist to add Magahzi ul Nabi Places..( travelling of Prophet ) and this is a big topic , hundreds of places, so i have to pull out the photos, narrations, historical back ground present day situation etc from my stuff.. which is taking time ..hopefully by next year inShALLh it will be ready. Inshaallah, you will get nothing but success !!!! And why is there such a big fuss/deal about him? We Muslims believe that Muhammad the son of Abdullah (from the Makkan area of Arabia) – peace be upon him – was the last in a long line of messengers from God who was sent to guide humanity to the true purpose of life. We revere the Prophet (peace be upon him) as the most perfect man to walk the earth and love him more than we love ourselves. If you want to know why a teenage girl in Sudan and an elderly man in China could be moved to tears just by the mere remembrance of a man who they never met… let us know. There are many good books/ videos/ websites out there. 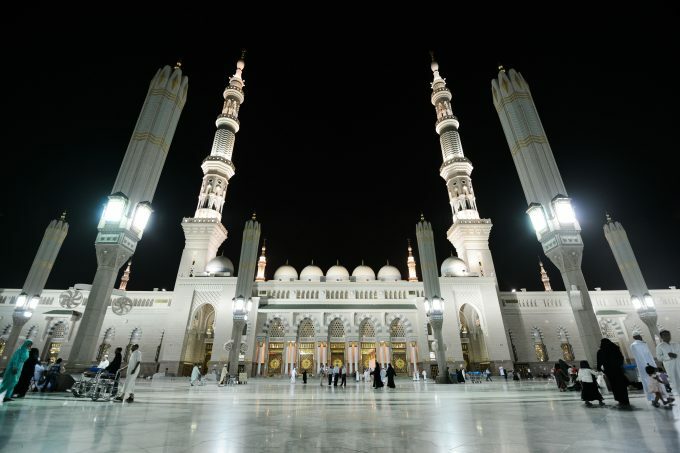 Awesome post about 9 things you didn’t know about the Prophets mosque. Thanks a lot for sharing. Really It is a place known to every Muslim who has ever lived, yet there’s still much we don’t know about it. No one has been in heaven to know how it looks. Furthermore, it is not right to compare earthly structures like the mosque with heaven. Commenting here to follow up so that whenever those “secrets” post is up, I will get notified. Masha Allah… These post about hings you didnt know about the Prophet’s ṣallallāhu ‘alayhi wa sallam (peace and blessings of Allāh be upon him) Mosque as well as Al- Aqsa and Makkah are very informative. One thing that came to mind when reading this is If the Open space is meant for Isa ‘alayhi’l-salām (peace be upon him), then it means that Isa will pass on in that spot… as was reported in the hadith… every prophet is buried in the place that he dies. really an intriguing and informative platform, Jazakal Allahu bi khair ya majid. SubhanAllah. Why is no one allowed to see inside? very educational and easy to grasp. You are right. It helped me alot as well. There are a lot of mistakes in this article and it should be corrected, like the people going into the hujrah in 1970. This is baseless and the masjid’s main scholars and caretakers are my personal friends and so are the masjid’s royal guards. Many of these matters mentioned in this article are not matters that are verified and it is conjecture. I would ask that things like this be verified better and the author do more authoritative research before making comments and claims. Wallahu alim. The article is fully referenced. Unfortunately, being in the vicinity of history does not make one knowledgeable of it which explains why – like you – I have not been able to rely on the caretakers or the guards for the information collected here. Asslamualikum , could you please mention those “alot of mistakes”?? people entering Hujra does not mean entering in Chamber, i believe i simple means entering in Green fence area, and that still people do, like Khuddams, Aghwat for cleaning and stuff. Asslamualikum , could you please mention those “a lot of mistakes”?? people entering Hujra does not mean entering in Chamber, i believe it simple means entering in Green fence area, and that still people do, like Khuddams, Aghwat for cleaning and stuff. Also if you see the new extended portion of the mosque (behind the old Turkish construction) is slightly angled compared to the front portion. Why this deviation ? it actually changes the direction of the people offering prayers by a very small angle. When will the article of secret signs be written? I deliver it as a presentation and am currently working on it. InshaAllah it will be available in 2016. It is forbidden for a masjid to encompass *any* grave. InshaAllah the structural changes and extensions will one day be reversed. If anyone is aware of a restoration campaign, please let me know. And what’s with these “secret symbols”? Dear Lord, don’t let it be anything shirk-y. Turks did most of the damage to islam. They are in middle of two civilizations n they tried to mix them both. Concept of eid milad came from Christmas n building tombs on sahaba and sufis’s grave . If u look at the old cemeteries in Europe u will see high graves some with tombs. Now even west has corrected themselves according to teachings of Islam by making grave simple. I wanted to know about whose janazah did prophet ( PBUH ) attend in masjid nab a with ?? SUBHANALLAH its really nice blog i love it and i love Muhammad s.a.w..
Jazakallah Khair for the informative discussion. Is there any video or image of the resting place of beloved Prophet Muhammad (PBUH)? No, there is no video of the resting place of the Prophet (SAW.) The inner chamber where the grave is located has not been opened in more than 800 years. The room itself has been opened but not the inner chamber. YARESULULLAH when you call me medinnah to visit you. You can also visit this link. Please update about your book. I am keenly waiting for it.